With the somewhat surprising departure of vocalist Angela Gossow and the entry of Alissa White-Gluz, Formerly of The Agonist, Arch Enemy headed into a new chapter in their musical career with War Eternal. Kicking the album off is the sinister feeling Tempore Nihil Sanat (Prelude in F Minor) that wonderfully sets the stage for the death metal to come. Strings and choral work that builds the urgency of the piece back up a menacing synth chord. From there on, War Eternal jumps into the blistering Never Forgive, Never Forget and any concerns about a new vocalist replacing Gossow’s presence is put aside as White-Gluz’s enters with her guttural screams. Never Forgive, Never Forget is one hell of an effective album opener and features all the hallmarks Arch Enemy fans have come to love about the band – blistering solos, brutal drumming and demonic vocals. I’d dare say that this track would ease the minds of most Arch Enemy fans in regards to how well White-Gluz fits into the group. One particular thing I’d like to point out about this album is that it’s got a heavy symphonic metal vibe about it. Orchestral flourishes appear here or there on a track, breathing life into the song. You Will Know My Name has an opening piece of music that is just – for want of a better word –epic. It’s almost a shame that the piece transforms into a whole other beast because I would’ve liked to hear the piece expanded with that bit of music in other exciting ways. Time Is Black is a standout track and one that is also seemingly influenced by symphonic metal. I get a gothic horror vibe off this piece which is a welcomed approach for the band. The track builds with effective string work before bursting into another killer track you can’t help but head bang along to. Replacing Chris Amott is Nick Cordle. What sort of input the man had into the creation of the songs, I do not know but at the very least, it appears new blood within the group has inspired the other members to think in exciting and creative ways and the results within War Eternal are spectacular. So: Arch Enemy’s in top form here. Alissa White-Gluz brings a personality to this batch of songs that I’m not sure Angela Gossow could match and being a listener of The Agonist, White-Gluz’s former band, it’s easy to hear her influence on some of the tracks here. Michael Amott brings a whole different dimension to the music and lyrics with the keyboard here, Daniel Erlandsson hasn’t been this brutal for a while and frankly, it’s good to hear him shake it up a little on some tracks. Sharlee D’Angelo also turns in one of his finest efforts as he chugs along brutally with the new tracks. If I had one complaint about War Eternal, it’s that I found the instrumental tracks to be weak and filler. The album closer Not Long for This World has an air of menace about it and has a lot of emotion put into it but it’s also predictable in its delivery. The same goes for Graveyard of Dreams, which feels lacklustre and is all over too soon. Those tracks aside, War Eternal is a return to form for the group. The new additions of Cordle and White-Gluz seems to have given the band a shot in the arm and the results are some of the most exciting and lively metal I’ve heard all year. 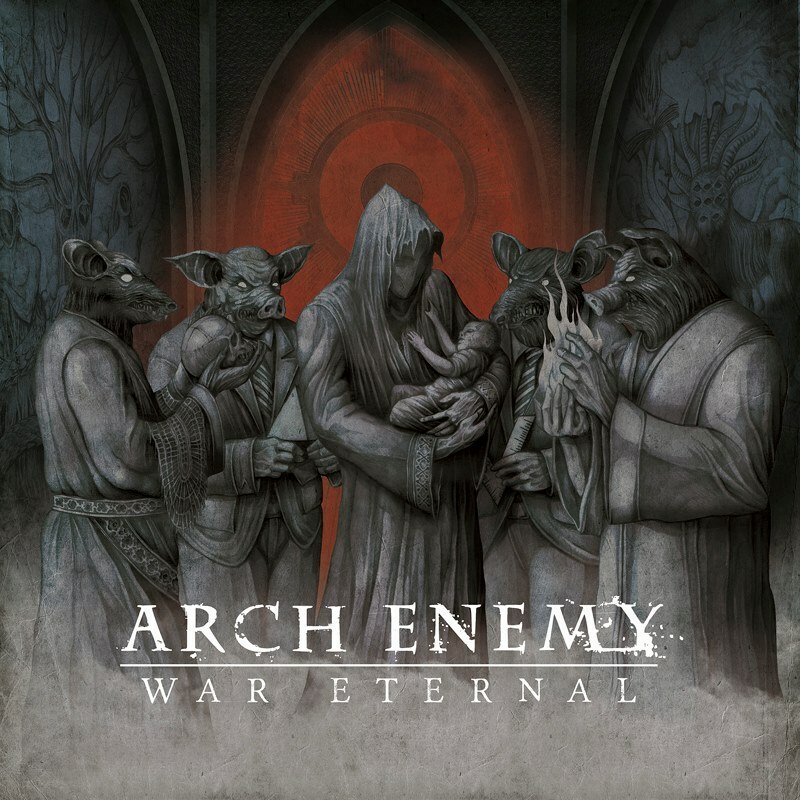 I’ve got to admit that I wasn’t that impressed with Arch Enemy’s last two efforts and was sceptical of this one, especially with the new additions, but War Eternal has reignited my interest for the band again. I’m excited to see how their relationship with the two members of the group grows in the years to come. Can NOT wait to hear the full album. The advance tracks are killer!